The New Vision – The Bank of Uganda will soon launch the first Ugandan Diaspora bond to provide a safe haven for Ugandans abroad looking to invest locally, an investment compendium will also be dispatched to each of Uganda’s 30 foreign missions. 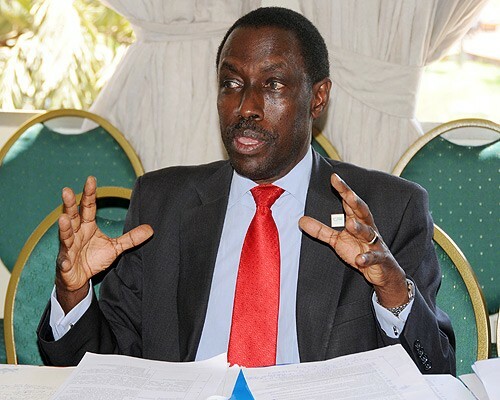 Ambassador James Mugume, the permanent secretary of the foreign affairs ministry noted that a secure communication link between Uganda’s foreign missions and Kampala will soon be rolled out to allow trade of the bond among other things. “The investment compendium and the Diaspora bond will be important for the Diaspora to start investing locally,” he said during the launch of the investment compendium at Hotel Africana in Kampala. “The final draft national Diaspora policy is ready. This will address most of the constraints that Ugandans abroad face when investing home,” he added. The Government formed a Diaspora office in the ministry of foreign affairs that is coordinating activities of the ministry with those of the ministries of trade, finance. Mugume noted that Bank of Uganda (BOU) has finalised a feasibility study for the Diaspora bond and it could be auctioned later this year. Dr. Jan Tibamwenda, the BOU director communications noted that the bank is simply awaiting instructions from the ministry of finance to launch the Diaspora bond. Ugandans abroad remit close to $767m (sh1.99 trillion) back home each year. Top sources are Kenya at $326m, the UK at $176m, and the US with $87.4m accounting for over 70% of all remittances. Trevor Manuel, South Africa’s minister for the presidency recently noted that remittances from abroad need to be channelled to industrial development. It is still unclear how large the Diaspora bond will be and which sector it will be utilised. Uganda’s sh13trillion national budget for the financial year 2013/14 will be locally funded by up to 80% as donor aid was rolled back. Remittances are projected to hit $1b this financial year providing a feasible alternative to aid. 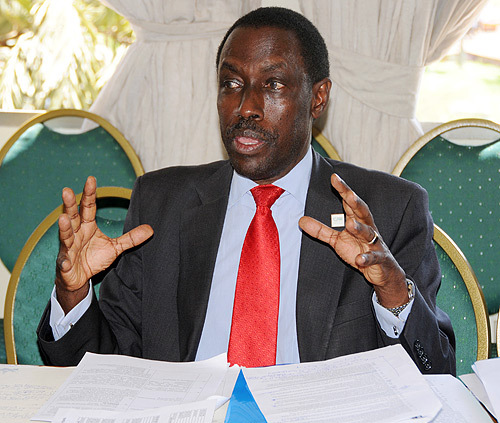 James Mutende, the state minister for industry noted that returns in Uganda are much higher than those abroad, adding that Ugandans abroad should use the compendium to earmark areas of investment back home. Frank Sebowa, the Uganda Investment Authority chief noted that some 4,000 CD’s, 2,000 flash disks and 2,000 hard copies of the compendium will distributed to foreign missions to supplement downloadable copies on the ministries of trade, foreign affairs and the UIA. Okello Oryem, the state minister for foreign affairs noted that civil servants could also get ideas from the compendium to supplement their incomes. James Mutende, the state minister for industry noted that returns in Uganda are much higher than those abroad, adding that Ugandans abroad should use the compendium to earmark areas of investment back home. Frank Sebowa, the Uganda Investment Authority chief noted that some 4,000 CD’s, 2,000 flash disks and 2,000 hard copies of the compendium will distributed to foreign missions to supplement downloadable copies on the ministries of trade, foreign affairs and the UIA. Okello Oryem, the state minister for foreign affairs noted that civil servants could also get ideas from the compendium to supplement their incomes. For details visit the UIA and MOFA websites!